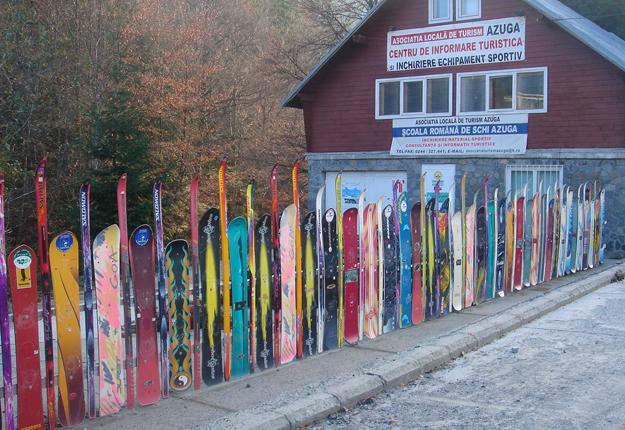 Vintage skis is a fun material for art and design. 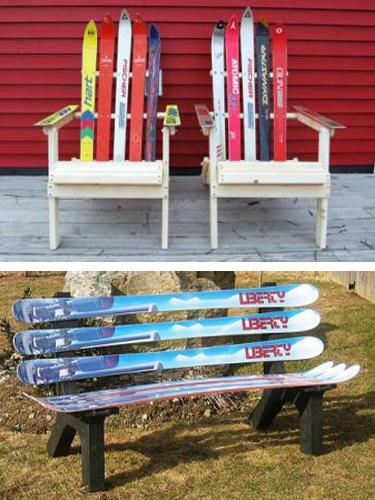 Retro models, especially made of wood, make a huge difference to your yard. 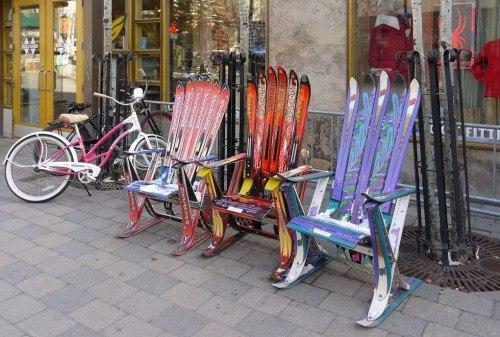 Outdoor furniture, chairs, benches, tables, creative signs, stands, wall decorations and fence designs that recycle retro skis look amazingly attractive and add personality to your garden, ski shop or winter cabin. 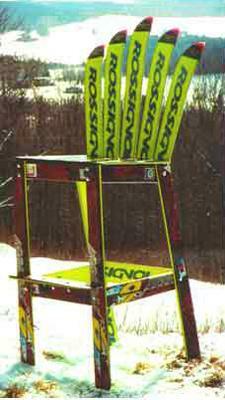 Well-placed and displayed in style, vintage ski decor, crafts, art installations and outdoor furniture become real eye-catchers that can say a lot about your home, business and your artistic nature to your visitors. 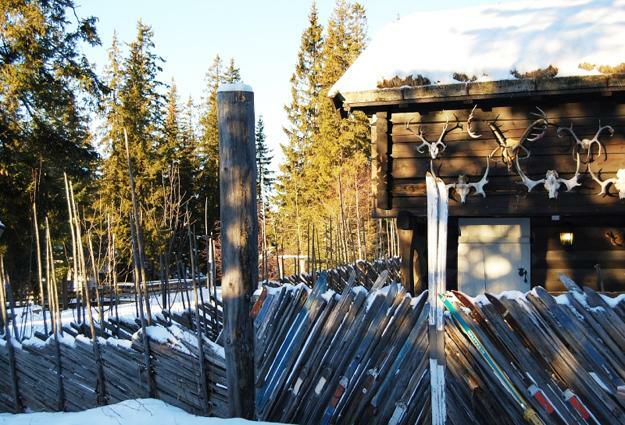 Retro skis can turn wood into works of art. 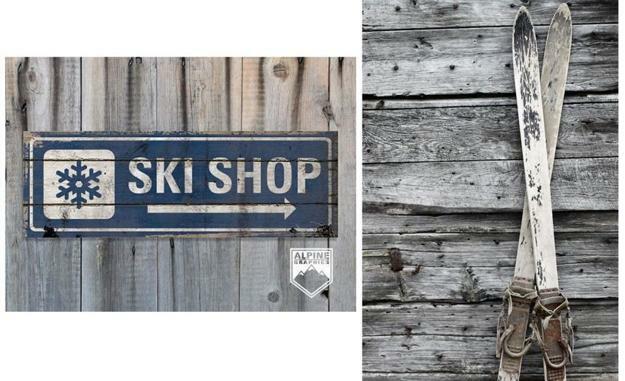 Vintage reveals their amazing story. 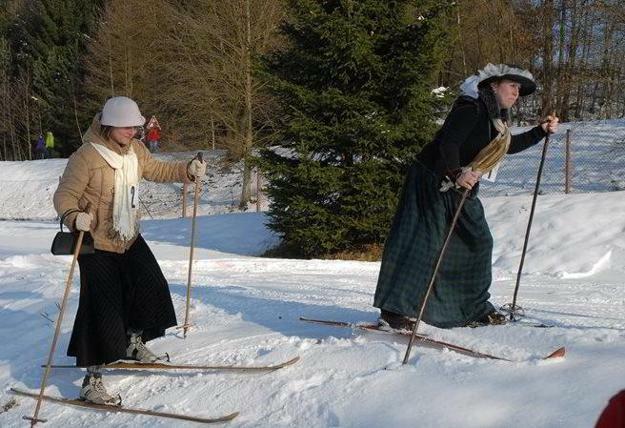 They not only come from a different era, but they capture something significant of those old times. 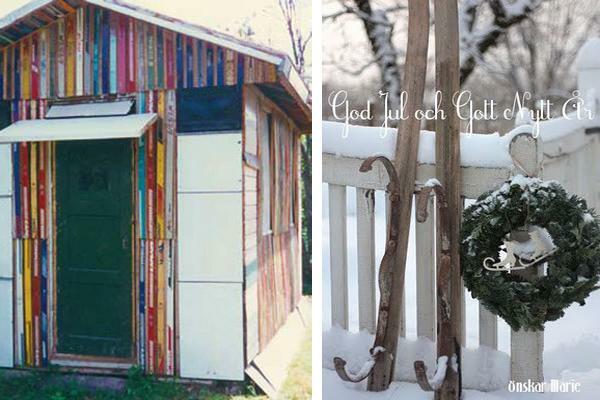 They evoke nostalgia and great memories, bringing a retro mood into modern decorating. 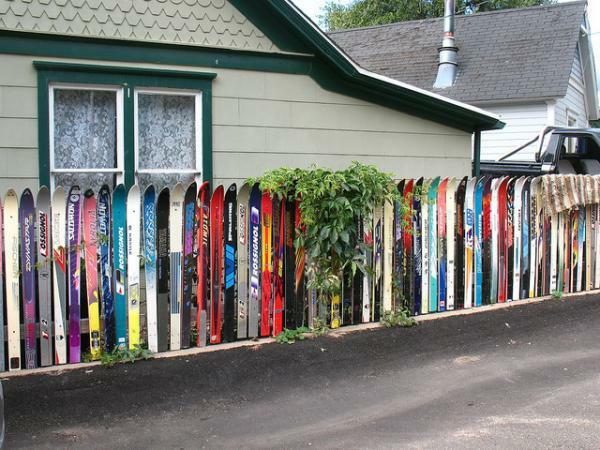 Their character is fascinating, that is why vintage skis are precious items for DIY yard decorations. 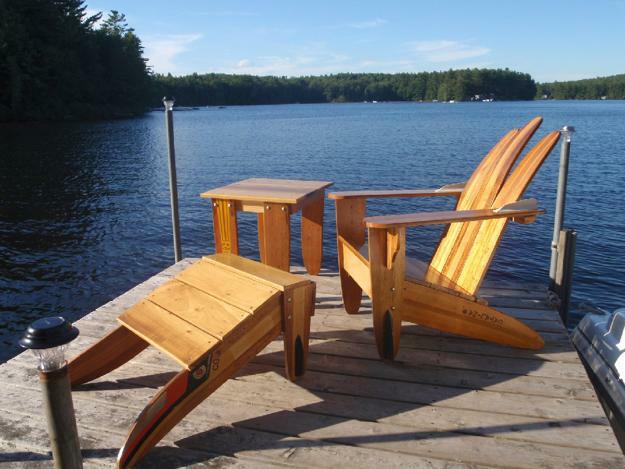 The retro flavor of the past transforms the accents, creating a quiet, inviting and relaxing atmosphere. 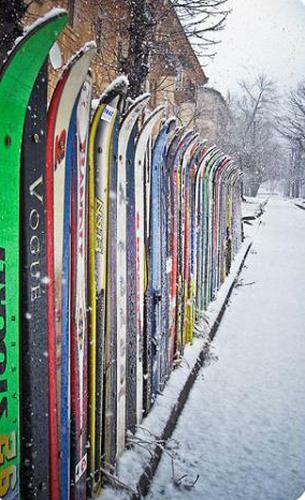 Retro skis look simple but remind to appreciate and enjoy life. 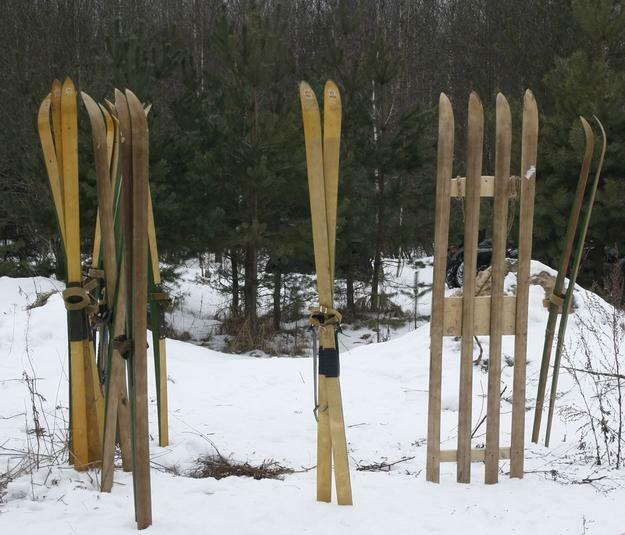 By comparing old wood skis with modern models, people see a glimpse of the past and can bring an exotic element into creative business or cottage decor. 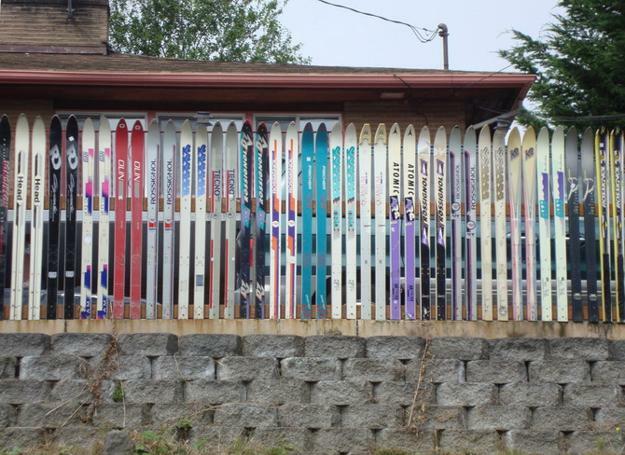 Skis material, retro patterns, and worn look generate interest. 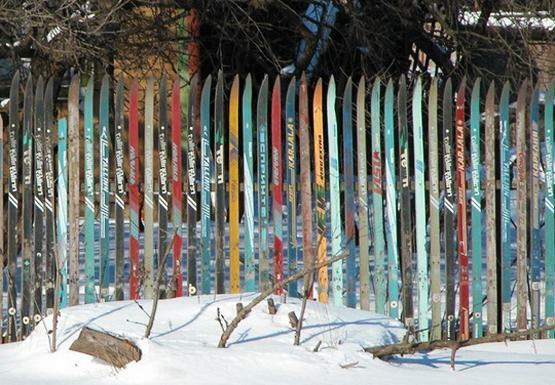 Vintage skis are perfect for new artworks, wall decorations, and wooden furniture pieces that look so different that become a talking point. 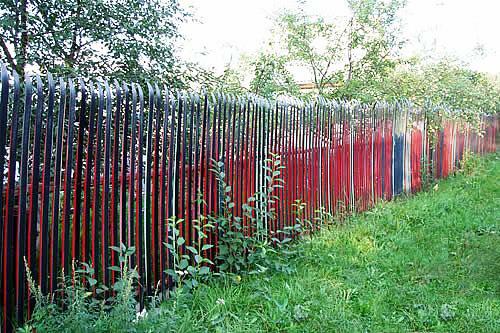 Retro things present fascinating insights into the past, allowing to use the original items for the business office, yard or home decorating. 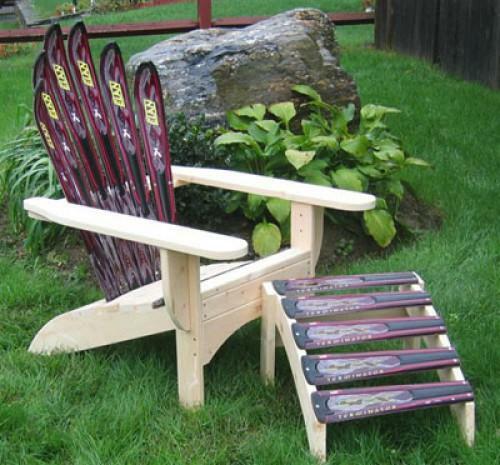 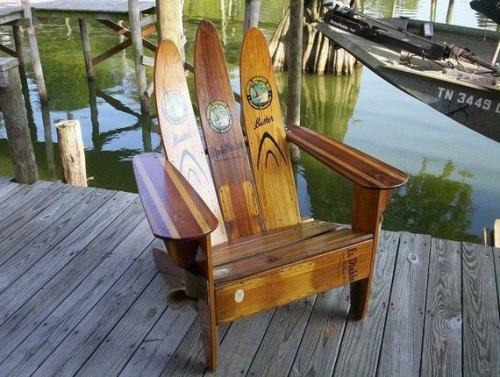 Garden benches, chairs and tables recycling old skis are a delightful way to blend Green ideas and practical design. 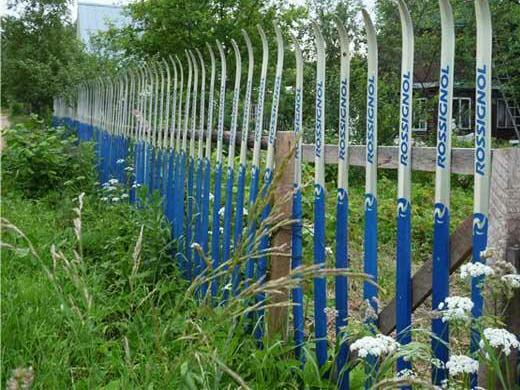 Old-fashioned details of curved skis tips give your handmade garden furniture and yard decorations a playful feel and a care-free look. 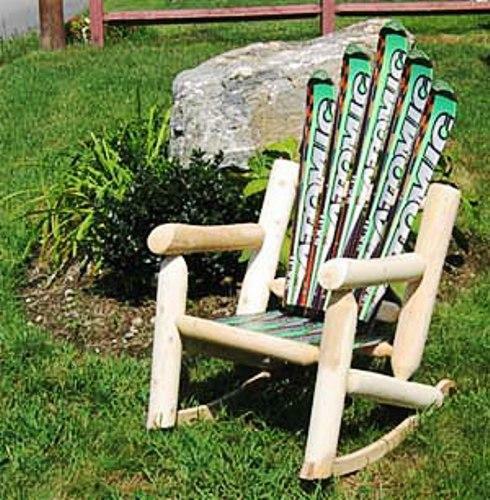 The retro style works well with any yard landscaping and building materials. 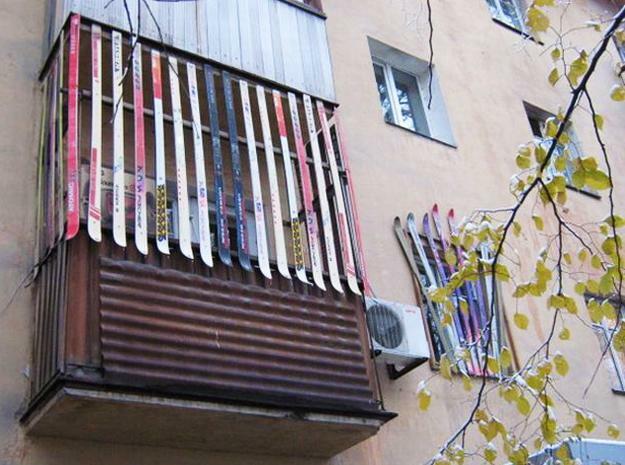 Old skis are perfect for creating informal outdoor living spaces welcoming visitors in style. 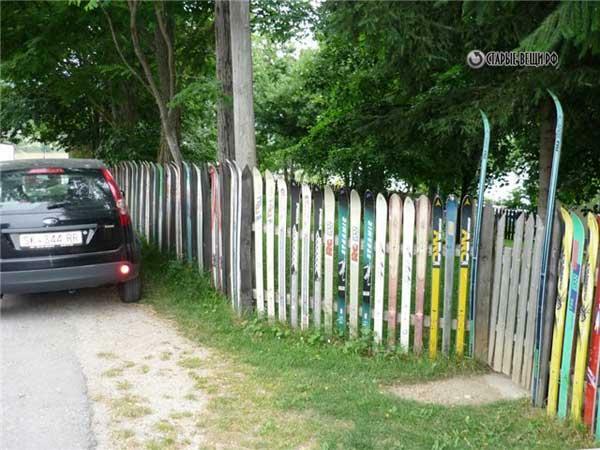 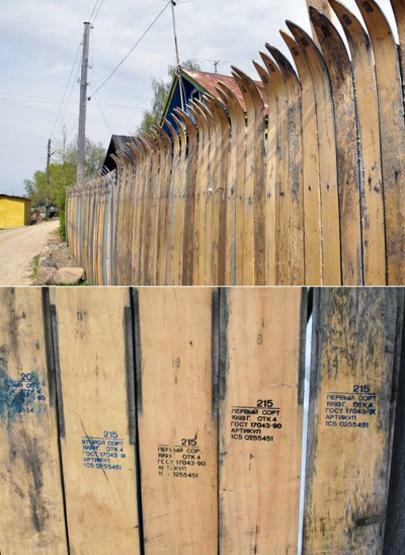 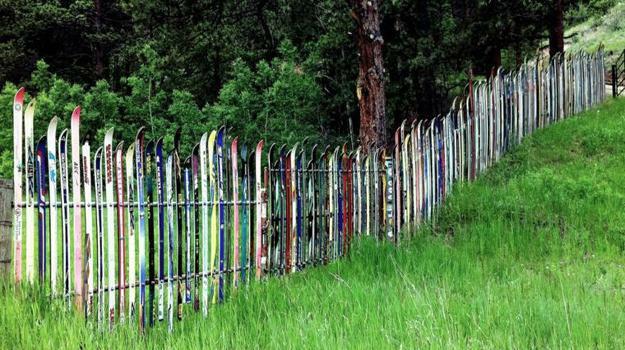 Fences made with colorful or wooden skis look unusual and impressive. 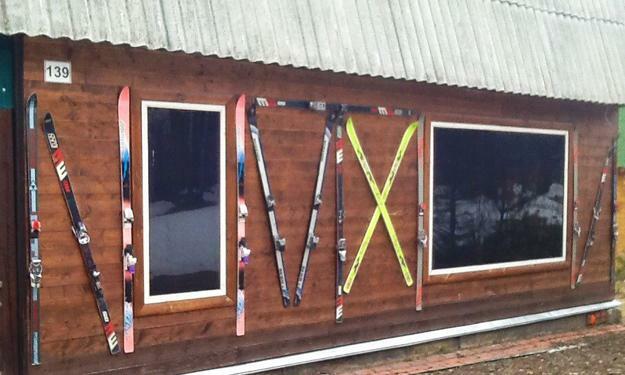 Wall signs and deck decor with skis are fabulous for a winter season. 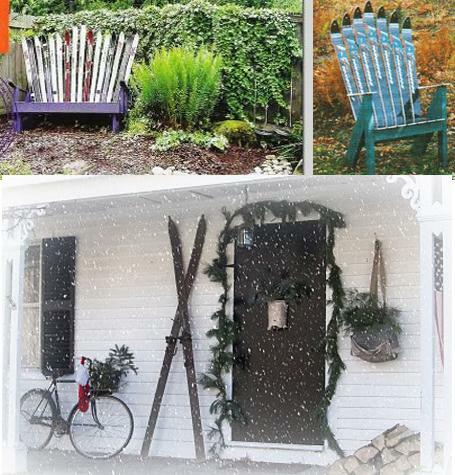 The old design adds timeless chic to yard decorations, makes fences and outdoor furniture look creative and unique. 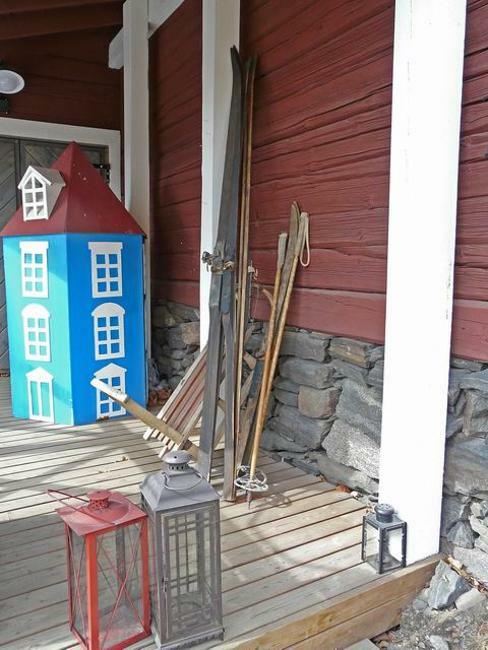 Old skis add exclusiveness to wooden crafts and brighten up yards with original art pieces in retro style.